Nintendo Switch: 3RD Party Support CONFIRMED, GPU, Processor, and More | Nerd Much? After announcing the official Nintendo NX reveal just last night, Nintendo came through with their promise this morning. Of course, it didn’t go on without a hiccup, as the official Nintendo site crashed and burned shortly before the time. It recovered quickly though, so all is okay. The company released their Nintendo NX teaser trailer, which is roughly 3 minutes in length. What did we get in that 3 minutes? It’s not quite as gimmicky as we thought it would be, and Nintendo has even included what appears to be a normal-looking, Xbox 360/Gamepad pro style controller. What’s more, it looks like you’re able to take that controller on the go with you, so you’re not stuck using the small, slide-off controllers that are attached to the portable screen. These detachable controllers are officially called Joy-Con controllers, and there are a variety of different ways to use them. First, a single player can have a Joy-Con controller in each hand, or two players can take just one. Or, multiple players can take two. It’s all about options. 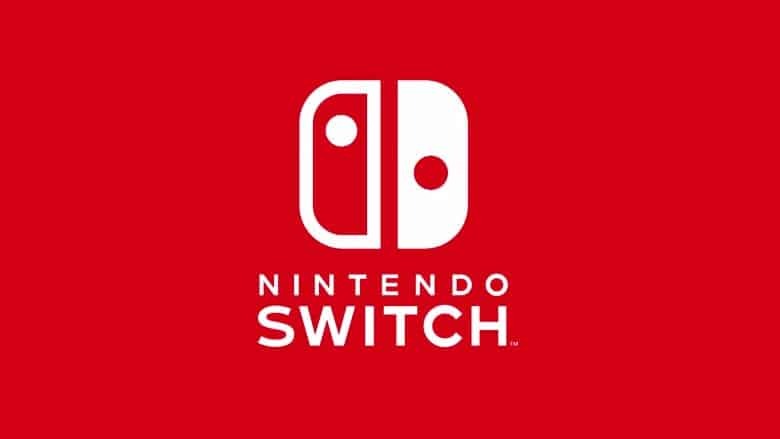 In a separate press release, we also received word that the Nintendo Switch will have a great deal of third party support from most of the big names in the developing/publishing business. 505 Games • LEVEL-5 Inc.
There’s still a lot we don’t know about the Switch. Of course, unsurprisingly, we weren’t given any of the Nintendo NX specs, nor an official release date, except for the originally announced March 2017 release window. There is a new rumored Switch Specs post floating around on Pastebin (found on Reddit), but these are just rumors and we don’t know their validity. 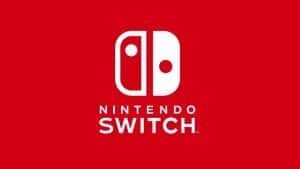 There was also no mention of the Nintendo Switch price, so we have to assume they’re going to give us that information sooner rather than later. The Nintendo Switch also uses cartridges, the size of 3DS cartridges. We would have to assume it will have digital download capabilities, but that hasn’t been confirmed yet either. We’re certainly interested in learning what the Nintendo Switch’s online ecosystem looks like. 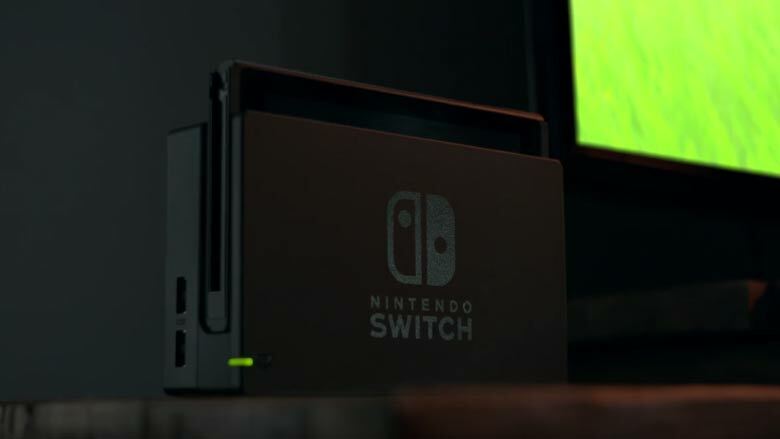 As far as the Nintendo Switch graphics are concerned, we have just learned that a custom NVIDIA Tegra processor will power it with an NVIDIA GPU. As far as the Nintendo Switch games shown, there were certainly a lot. We saw a basketball game that looked to be NBA 2K17 (although that has yet to be confirmed), Mario Kart 8 with Boo (a possible Mario Kart 8 Ultimate Edition, perhaps), Skyrim, and of course, a 3D Mario game…which looks to be an open world Mario of some sort, although that has yet to be confirmed, either (closer to Mario 64 than GTA, of course). 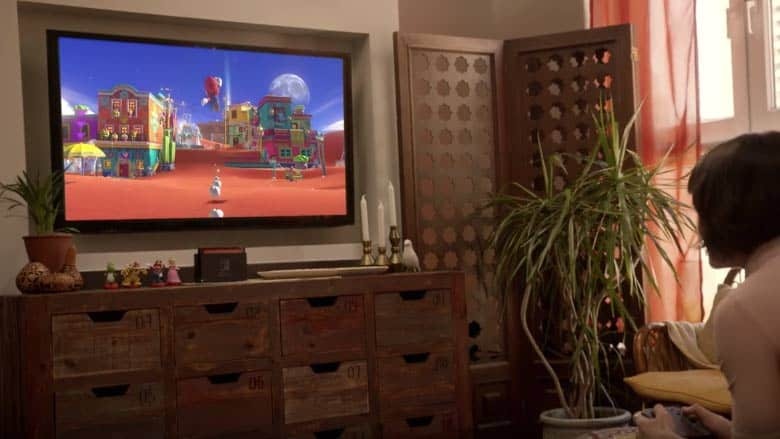 We also see Splatoon running on the Switch, and we have to assume it’s alluding to backwards compatibility (although, we’d imagine it’d be through a virtual console). 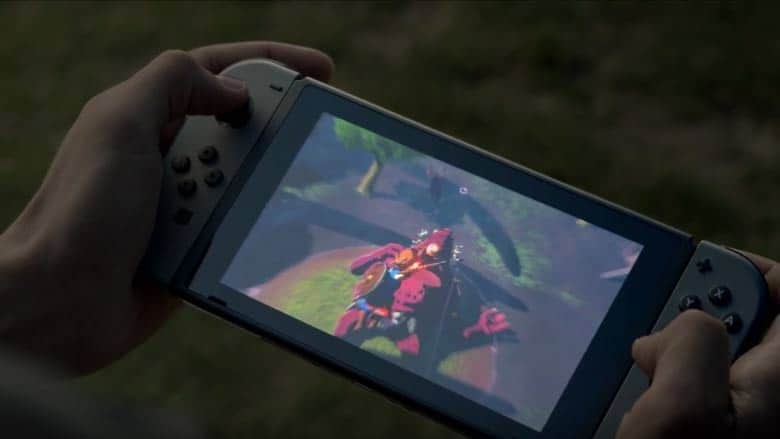 It’s also worth noting that there wasn’t a single kid pictured in the Nintendo Switch reveal trailer, which clearly shows a new marketing direction for Nintendo. Of course, we doubt they’d completely abandon their core audience, but it’s certainly an interesting note. As it stands right now, there are no Nintendo Switch pre-order options available — we’ve checked Amazon, Gamestop, Wal-Mart, and Best Buy. We’ll keep you posted as preorders become available, but for now, you can sign up for updates on the Switch from GameStop so you’ll know when it becomes available.